Delving into Bordeaux and trying to understand this classic region and its iconic wines can be a daunting task. There is literally lots of ground to cover, Bordeaux stretches over 296,000 acres, compare to the more familiar Okanagan Valley, with just 8,619 acres of vineyards. We will provide you with some of the most important information you need to know about the not-so basic region of Bordeaux. Where most people start, is the explanation of right bank vs left bank. The Gironde estuary is fed by the Dordogne and Garonne rivers, which split the wine region into two main areas. The left bank is west of the Gironde and Garonne and north of Bordeaux city. The right bank is on the east side of the Dordogne. The left and right banks are home to some of the more recognizable regions and prolific Chateaux. Within the greater Bordeaux, there are many other sub-regions and thousands of vineyards. In the north-east you will find Cote de Blays and Cote de Bourg. Between the two prongs of the ‘fork’ is Entre-deux-mers. As well, south of Bordeaux city, Sauternes and Barsac produce some of the world’s best sweet wines. The 296,000 acres make Bordeaux the second largest wine growing region in the world. The large acreage produces a wide selection of styles of wine from sweet wines in Sauterne, sparkling Crémant de Bordeaux, inexpensive, to the most regarded in the world. Map sourced from Table Wine at tablewineasheville.com. 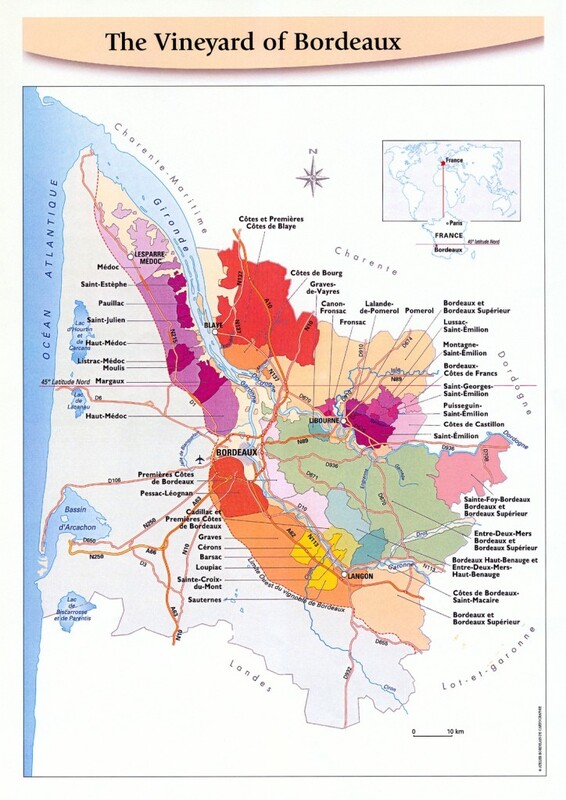 There are 38 sub-regions in Bordeaux, which cover 57 appellations. A region’s classification will influence the price and demand for its wines. 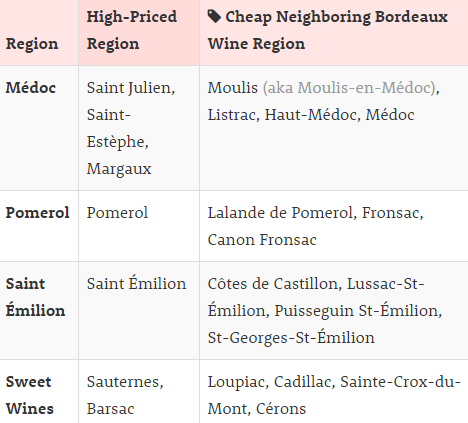 WineFolly shows a table of the premium regions, partnered with the more affordable options. The left bank, in Haut Médoc is where you can find some of the finest red wines of Bordeaux: Margaux, St. Estephe, St Julien and Pauillac. The regions in the left bank have higher rock content, which provides well-draining soils. 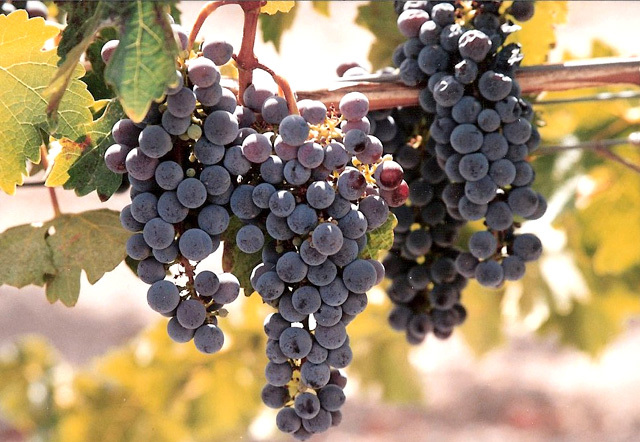 Cabernet Sauvignon performs best on well-drained soils. The rocky soils also retain more heat, helping to ripen the grapes. The right bank is home to the highly-prized reds of Pomerol and St. Emilion. The rigth bank has greater clay content in the soil, making it a more ideal location for Merlot. Among the thousands of vineyards and growers, approximately 200 properties are classified. 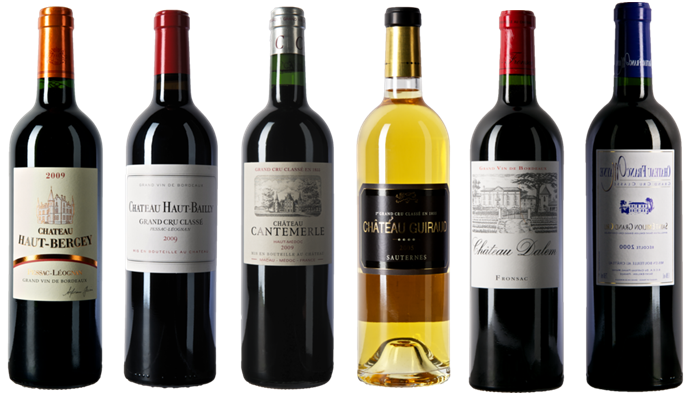 Châteaux that are ranked within the three classification systems provide the benchmark for quality wines from Bordeaux. The 1855 Médoc classification is the most expansive and recognized. The list of classified properties was created for the Universal Exposition in Paris, in 1855. Producers whose wines consistently commanded the highest prices were ranked from first to fifth growth. 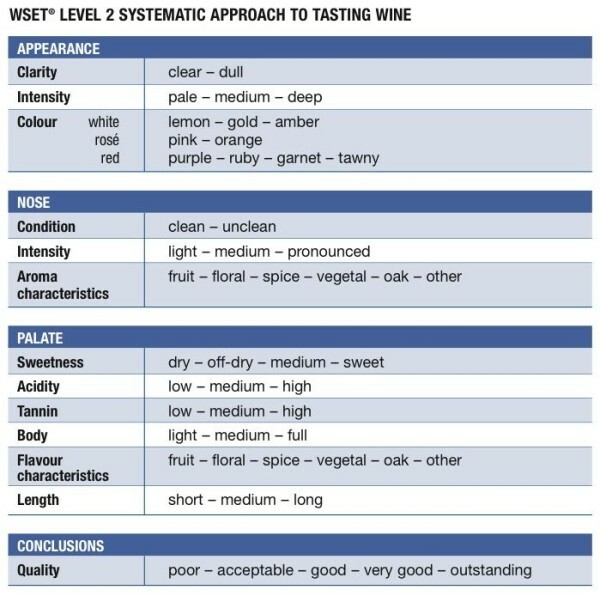 Here is a list of the Chateaux in each of the 5 rankings, provided by Winewisdom.com. All the classified properties were on the Left Bank, and most were in the Médoc Since 1855 there has only been a single amendment, Château Mouton-Rothschild was raised from a second to a first growth. 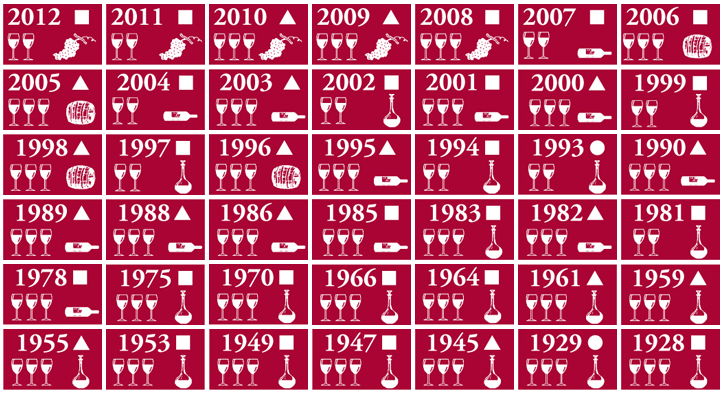 You can identify wines in this ranking system by “Grand Cru Classée en 1855” on the label. Since the inception of the 1855 classification, other regions have created their own rankings. Most notable is St. Emilion Classification, and the communes of the northern part of the Graves region, known collectively as Pessac-Léognan in the 1959 Graves Classification. The popularity of wines from Bordeaux have created a style of wine that is replicated around the world. From Napa to Adelaide, winemakers produce wines in a ‘Bordeaux style’, using Bordeaux varietals and techniques to achieve a Bordeaux-esque wine. In tasting notes, reviews and media, a wine may be referred to as a ‘Bordeaux blend”, but unless it is from Bordeaux it is referencing a style of wine and not the origin. 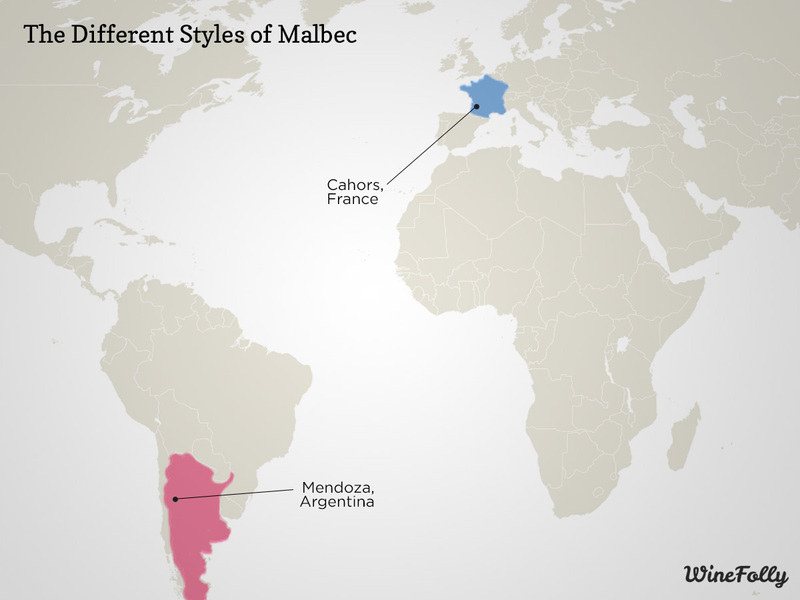 The permitted red varietals found in Bordeaux blends are: Cabernet Sauvignon, Merlot, Cabernet Franc, Petit Verdot and Malbec. The left bank wines are dominated by Cabernet Sauvignon, producing a more tannic, structured wine with higher alcohol and acid. Merlot based, right-bank blends offer a softer style and tannin, that is more approachable in it’s youth. Bordeaux is unique in that it is an ideal, but also volatile area to grow grapes. The climate is moderate and maritime, vintage variation is high and weather patterns vary year to year. Typically, Bordeaux is temperate with mild winters, damp springs and rainy autumns.The unpredictable nature of the seasons leads to high risk, and potentially high reward. It is important to research vintage notes, especially when investing in an expensive bottle. Most critics and journals will publish vintage scores, like the one shown on Bordeaux.com. With a deep history, thousands of acres under vine, and many styles of wine produced, Bordeaux is a complicated, but worth while region to study. Many try to simplify the complex structure and terminology of Bordeaux wine, but it is difficult to do this without leaving out important information. Tell us about your experiences with Bordeaux, your favourite places to visit, the most memorable bottle of wine, or what questions have gone un-answered! Zinfandel is becoming an increasingly popular grape in North America. Primarily known for its fruitier and sweet styles, it is difficult to imagine its relation to the big and structured Primitivo of Italy. With several recent Zinfandel/Primitivo features on WineCollective, we’ve decided to bring you some wine education on the grape and it’s Italian twin. Zinfandel was first introduced to the Apulia region (the ‘heel’ of Italy’s boot) in the 18th century. However then, it was known as the Croatian varietal, Crljenak Kaštelanski or Tribidrag, and developed the name Primitivo from the term ‘primativus’ as it can typically be one of the first red varietals to mature in the season. Black and thin-skinned, Primitivo holds high sugar levels allowing for vast alcohol content dependant on fermentation. Overall, Zinfandel and/or Primitivo can range from 14% to 17% ABV. In Italy, Primitivo was first used to plump thin red wines produced in Tuscany and Piedmont. After the grape arrived in California in 1968, ampelographers declared Zinfandel and Primitivo identical in 1972 after noticing many similarities. Soon after, Apulia began constructing single varietal wines of Primitivo, which resulted in rustic, juicy, structured and high alcohol wines. Meanwhile, back in California, White Zinfandel began to emerge and soared in popularity. Stripped of its skins prior to fermentation, White Zinfandel does not hold big alcohol, or tannins and body as the grape normally would produce. Instead, producers are able to play off the sweet flavours of Zinfandel and today, the rosé wine makes of for 85% of Zin production in the United States and six times the sales of regular Zinfandel wines. 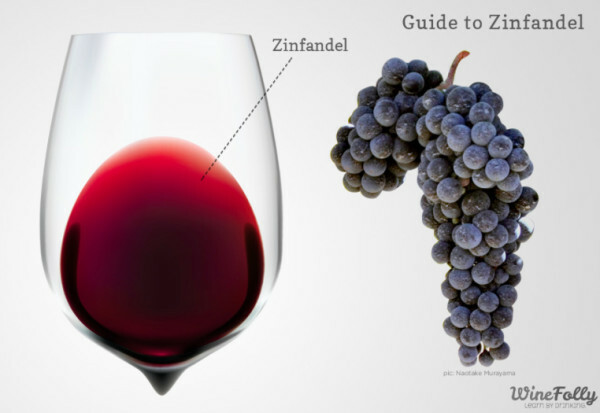 The name, Zinfandel was created along with its introduction and production in America. Overall, the grape is the third-leading wine variety grown in the state with more then 48,000 acres in 2013. While we do love sweet rosé wines, we are very grateful that California began to make wonderful bold reds from Zinfandel. In the 1990’s a few wineries including Ravenswood and Turley proved that hearty world-class reds could also be produced from the grape. Today you can find delicious examples from Sonoma, Napa and Lodi. Because of Zinfandel and Primitivo’s fruity sweetness, the wine is a great match for curry spices, and sweet and hot BBQ dishes. In Italy the wine is typically paired with rustic tomato dishes or chilis and meatballs. Interested in trying the difference between the grape brothers? We have had several recent Zinfandel and Primitivo features on WineCollective, from Lodi and Apulia, all available on the online store! Use the coupon code GRAPERELATE for $10 off your order. Mouth: Ripe red fruit, cherries and strawberries are concentrated and deep. There is enough wild-berry and secondary notes to balance the richness of fruit. Aged in both French and American oak, adding vanilla and spice to the wine. The Zinfandel is blended with Petite Sirah and Petite Verdot, which add to the structure and tannins of the wine. Mouth: Similar fruits from the nose of plum, currants and dried cherries. Combined with some chocolate notes, reminiscent of Black Forest cake. We are most impressed with the lusciousness of the wine, that supports rounded tannins, moderate acidity and a juicy finish. A very well-balanced wine! Mouth: Dark fruit with more chocolate and spice. The oak is clearly apparent, however well integrated, creating a luscious and warm palate. 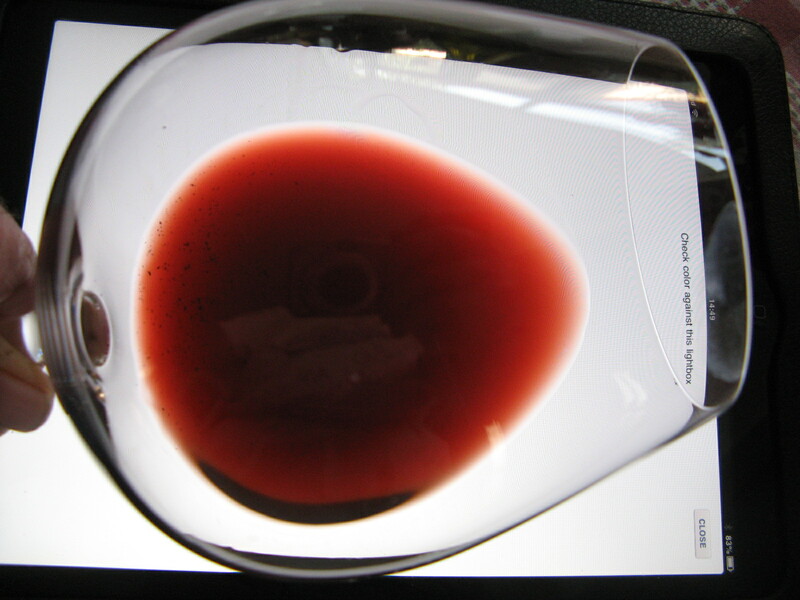 Tannins are present and pleasant, not overly drying. Dense and concentrated, the finish trails on and on. All in all Zinfandel and Primitivo are genetic twins. Whether you are enjoying a bright White Zin, a big and bold Primitivo, or both, take a minute to appreciate the differences in history, cultivation and wine production which have all lead to a variety of delicious styles that any wine lover can enjoy today. 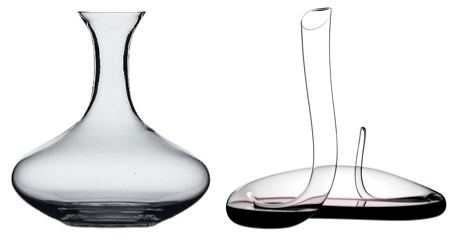 You may remember during our Welcome to Wine blog series, the importance of serving wine at the appropriate temperature. 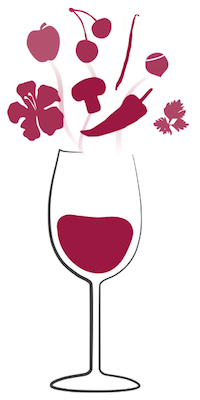 If served too cold the aroma and flavour characteristics of the red or white can be completely concealed, making for a very inaccurate tasting experience. 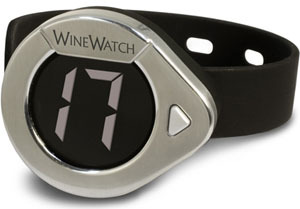 This past Christmas, WineCollective’s Amber received a WineWatch, which she highlighted as her favourite gift. After bringing it into WC headquarters, this small gadget was not only extremely useful during a tasting, but also proved our top tips on wine temperature. After refrigerating the Bodegas Artadi 2010 Artazuri Granacha, we wrapped the WineWatch thermometer around the bottle. It gave us a reading of 12° Celsius for our first round of tastings. We then allowed the wine to reach 15° and 17° Celsius before trying it again. Here is what we found! Eyes: Purple core in colour that trails to ruby red around the edge of the glass. Nose: Friendly and filled with raspberry fruit, but no other distinction. Mouth: Cool with high acidity. While refreshing, the fruit characteristics are all muted and impossible to pick apart. Eyes: No difference in colour. Nose: What used to be a fruity feminine aroma is now more masculine. Black pepper spice notes along with red fruits. Mouth: More balanced and rounded with lower acidity. Ripe strawberry and raspberry flavours on the palate. Finish is smooth, but short. Nose: Stronger spice on the nose woven with dark cherries and nutmeg. Mouth: Juicy dark cherry and raspberry lushness. Rounded complexity of earthy notes. Long and dry finish. After our wine tasting experiment, the WineCollective tasters agreed that the Granacha was best at 17° C. While the red wine was refreshing when cold, all of the aromas and flavours were revealed more with some warmth and time in the glass. You can find the nifty WineWatch at retailers across Canada including The Bay, Home Outfitters and even at Willow Park Wine & Spirits. Last week, on our WineCollective blog, we posted the differences between organic and non-organic wine (as well as vegan and biodynamic). Lately however, we have also noticed another trend breaking out into the largest winemaking regions including France, Australia and the United States. In depth, natural winemaking involves no corrections to sugars or acidity in addition to the organic and all natural process of growing grapes and vineyard care. 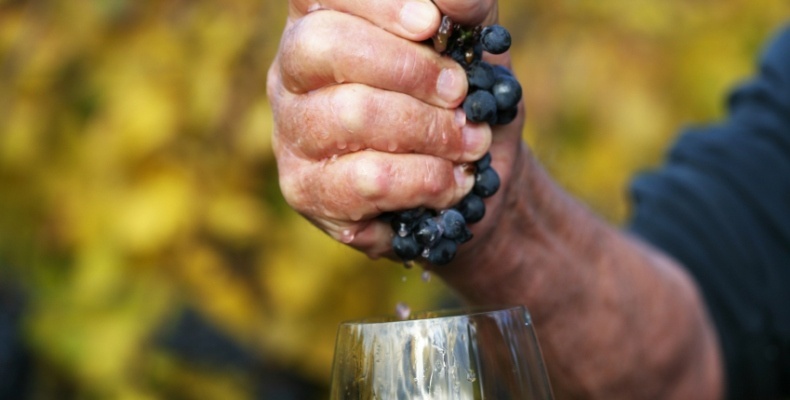 Even more, natural winemaking has no removal of excess dilution and no additional yeasts. Natural yeasts always take place in making wine; however, most producers add commercial yeasts in order to kick-start the fermentation process. 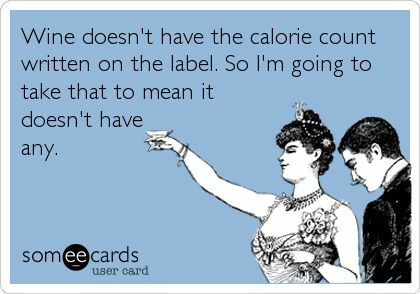 Unlike other beverages and food, wine is not required to include nutrition labels that would otherwise state all ingredients used in the wine. The New York Times says that producers avoid listing this information, as consumers would find it confusing. 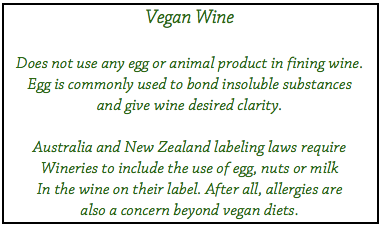 As an example, the use of egg whites for fining is not commonly known to the average wine drinker, yet is absolutely necessary information for an individual following a vegan diet. For the consumer, diet regulations as well as nutrition details are at times extremely important. 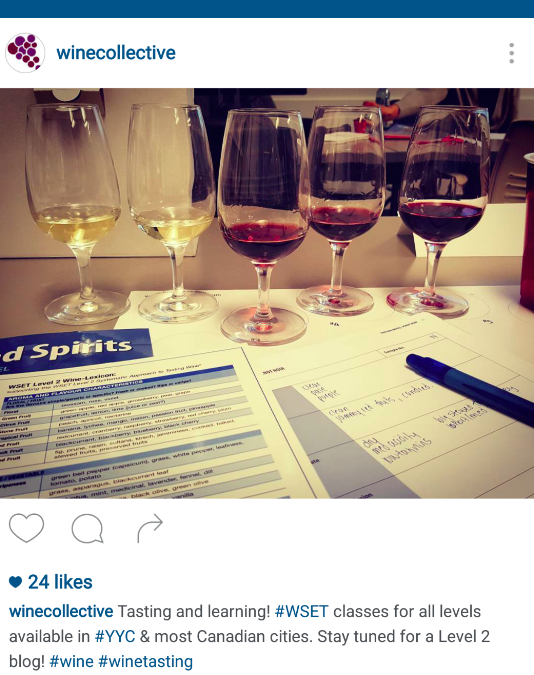 As a result, many consumers want wine labels to be more detailed or are turning to natural wine. 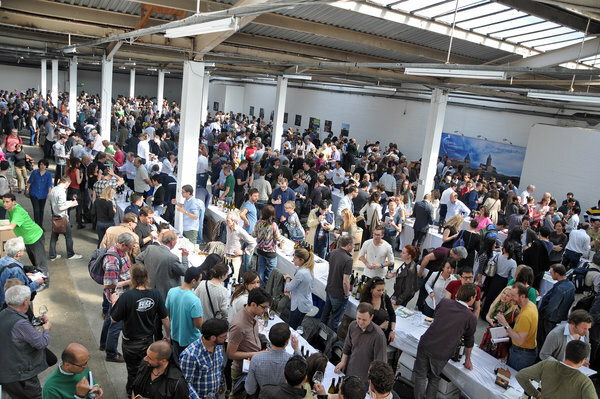 Natural wine has begun to create debate within the wine community. 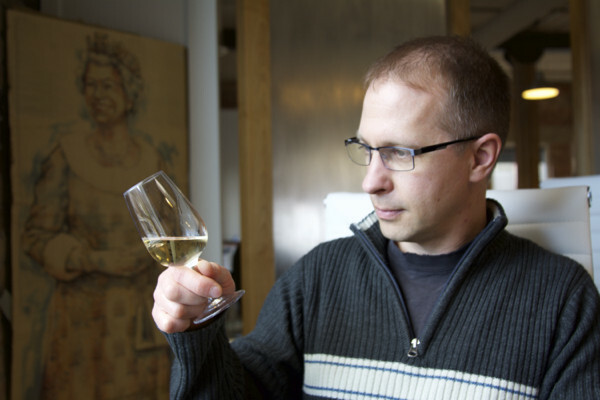 While some winemakers swear by the process – or lack of – others are arguing that the wine is weak and that certain additives are beneficial to the end product. Many natural wines do still include the tolerated sulphite amount of 150 mg/L. As sulphite helps to preserve wine, those that do not include the additive are fragile, losing colour and flavour through any shipping stress. Sulphite also helps to kill harmful bacteria that natural wines are more open to. 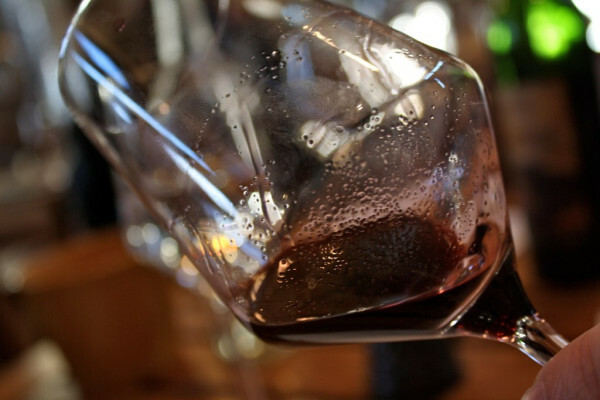 Other enzymes help to remove solid pieces in wine as well as amplify desired aromas, textures and tastes. 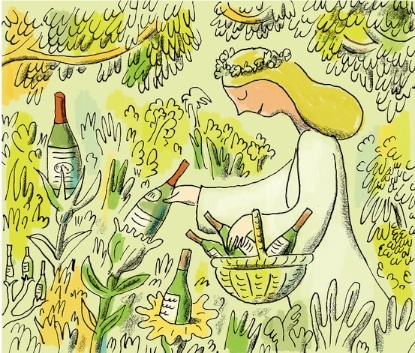 For certain winemakers, natural wine is “as nature intended.” While this new phenomenon is spreading, with Artisanal wine events such as RAW in London, wine drinkers have much to consider. With limited research, it is unknown if wine additives are harmful to the body; however, we do know it is wise to stay away from large amounts of preservatives. Second, are taste, aroma, colour and depth more significant than the alternative – which some winemakers call “beet juice”? 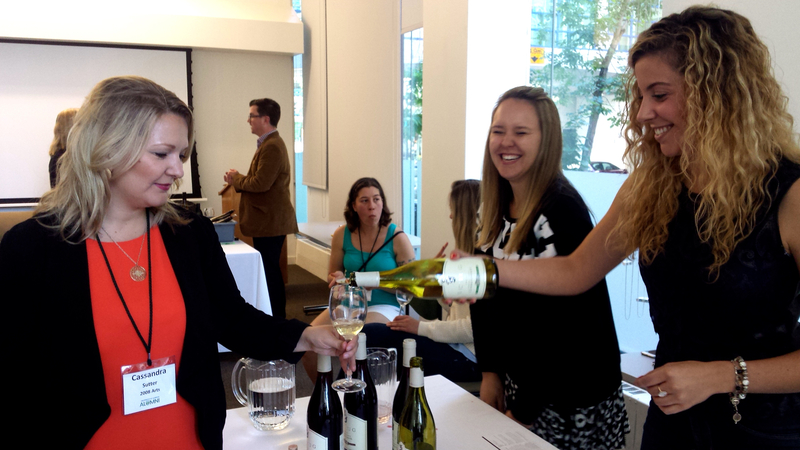 Should producers be required to include nutrition and ingredient details on their wine labels? Tell us what you think! Many individuals are continuously looking for healthier options for their diet and lifestyle, as we all should. The organic craze is nothing new in today’s food culture as more chemicals and pesticides are being used to remove insects, fungus and rodents from our gardens and yes, vineyards. While most wine makers have some level of respect for eco-friendly processes in both grape growing and winemaking, there are specific wineries that produce registered Certified Organic Wine. Of course the regulations that determine “certified organic” vary in every country. When growing grapes for organic wine and through the entire wine making process there is no room for the use of chemical additions. Instead of using synthetic herbicides to remove weeds and fertilizers, wineries use mechanical weeding (remove weeds by hand or with machine) and natural compost. Organic wine also reduces the use of pesticides. 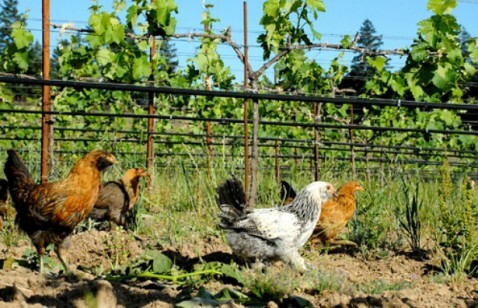 Instead, wineries will either use chickens or handpick cutworms from vine leaves. Specific non-chemically enhanced products are also available for organic farmers to remove pests. However, these sprays typically require three to four applications and wipe out all bugs, including beneficial predators. Obviously organic wine comes at a price, similar to organic fruits or vegetables. On average it costs 20% more to run an organic vineyard then non-organic, thus prices are escalated. Organic Certified emblems are added onto wine labels that meet all requirements. If organic products are valuable in your dietary preferences keep an eye out – there are plenty of them out there. If you’re unsure, check the wineries website. Now don’t jump to negativity as non-organic wine isn’t all horrible. In fact, there are benefits to some of the products used in conventional wine making. For example, in order to manage pests winemakers have options for environmentally friendly pesticides. 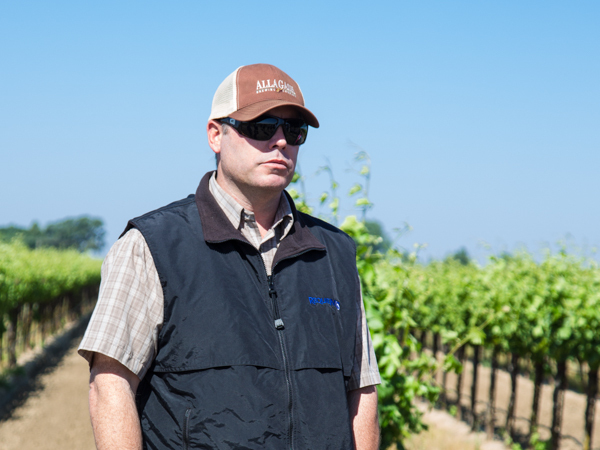 Vintner Kevin Phillips of Bechtold Vineyards uses Agri-Mek, a chemical that allows him to only remove harmful insects and keep those that benefit his vines after only one spray. 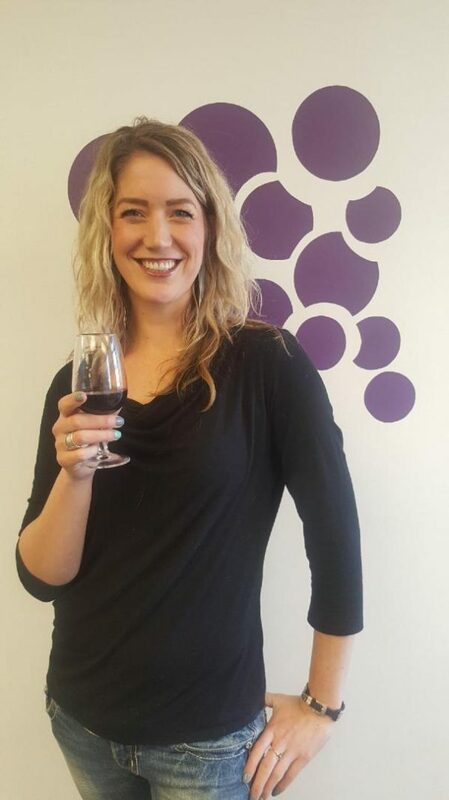 Non-organic wine also uses GMO yeasts in winemaking, which carries out malolactic fermentation at the same time as alcoholic fermentation and “unlocks flavour and aroma.” This not only allows for the winemaking process to move much quicker (meaning much more wine!) but also reduces risk of wine spoilage. It also removes biogenic amines that can have negative health risks; however, GMO is said to have health effects of its own. 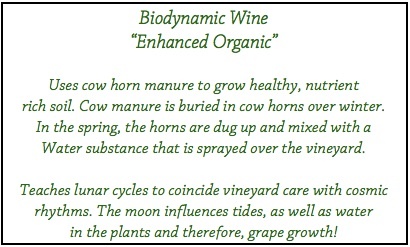 While both organic and non-organic wines have their own benefits and downfalls they do have their similarities. Both wines do require the use of preservatives. Sulphur Dioxide that is produced by yeast during fermentation acts to protect wine from microbial contamination, mould and yeast. All wine contains a minimum of 1050 mg/L of preservatives that allow you to cellar wine while it continues to enhance its deliciousness. Depending on your dietary preferences, organic wine may be your best option, although I wouldn’t let this stray you from ever trying a non-organic wine. In fact, WineCollective features plenty of both organic and non-organic wines in our packages. The bottom line is vineyard staff and winemakers are all looking to produce a wine that they are proud of and even more, tastes nothing like bug spray.